Mahindra Truck and Bus : Mahindra Navistar, Out Now! The new benchmarks have come to the showroom. And with that, merely OK performance has come to a dead end. 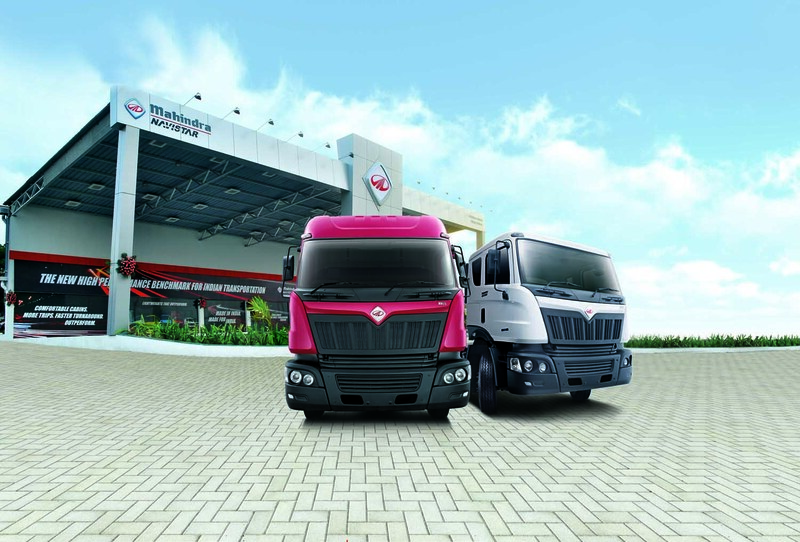 Powered by Maxxforce 7.2 engine, the MN 25 and MN 31 have been tailor-made for the needs of Indian Trucking. The Mahindra Navistar truck interiors have been specially designed by their US partner Navistar to provide comfort to the driver at all times. The exteriors have been designed keeping in mind the conditions of our Indian roads. On the robust chassis, which is about 20% stronger than the competition, rests the rugged and sturdy aggregates. The front axle is unique with a wider cross section and larger bearing sizes for longevity of the aggregates. The rear axle is also heavy duty for ensuring less wear and tear, even at higher torques. To top it all, it comes with the MAXXFORCE, a world-class engine, customised for domestic use. This engine has proven its sturdiness over tests which ran over a total of 25000 hrs and 1 million kms. Add to this, the assurance of unparalleled service spares and support anywhere, anytime, and it’s easy to understand why OK will no longer be OK.